Sometimes when it comes to eating healthy, one of the hardest parts can be sticking to your caloric goals when you’re on the go. If you were in a rush and weren’t able to have a sizeable breakfast or just find yourself starving after class, it’s easy to “give in” and eat whatever’s near or convenient — which can often lead to unhealthy choices. 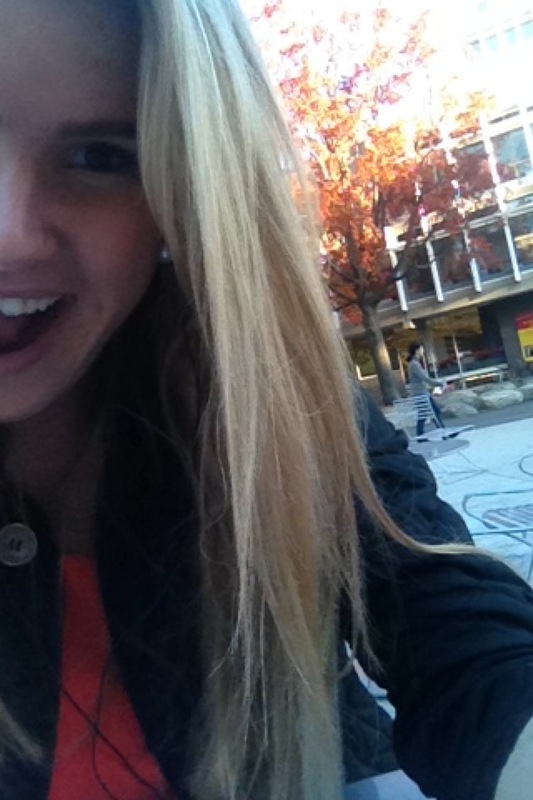 One of the awesome parts about bustling Harvard Yard in the fall is its wide selection of food trucks. It’s easy to overlook them on the walks to Government or Psychology, but during the day the sides of the Science Center Plaza are packed with yummy food trucks — ranging from Whole Foods on the Go to Bon Me (vietnamese cuisine) to taco trucks to dessert trucks and more. Until recently, I hadn’t taken advantage of these myriad food trucks that I pass literally every day… and didn’t really consider them a healthy snack option. 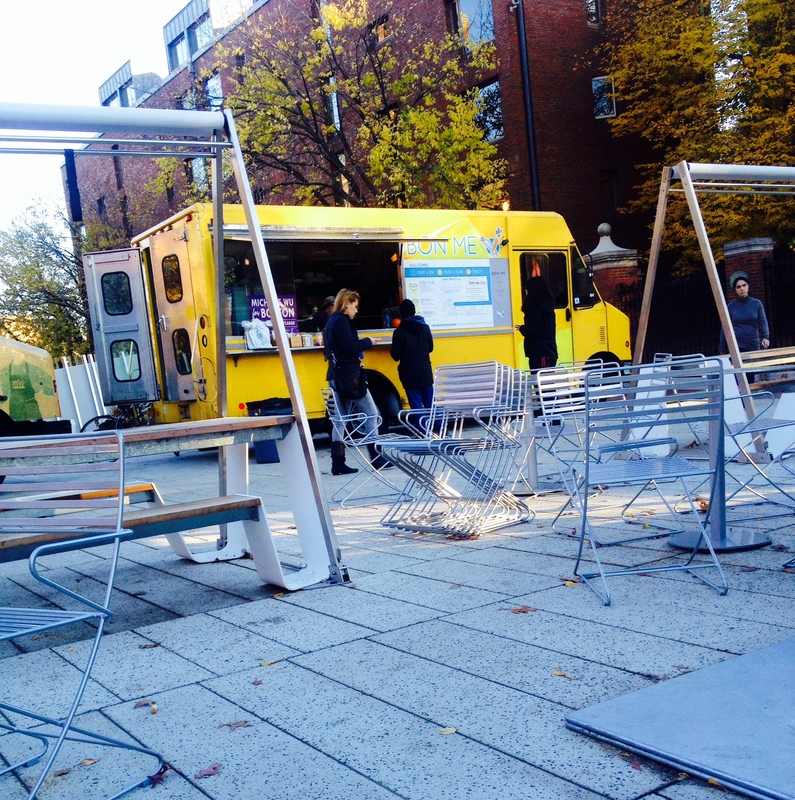 But this week I decided on whim (and an empty stomach) to give the trucks a shot. 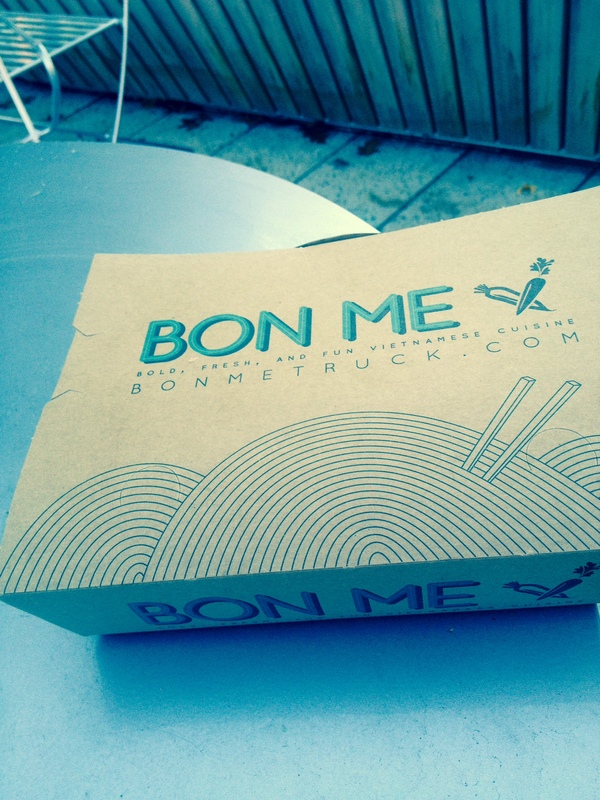 Bon Me – One of the yummy food trucks in Harvard Yard! I ordered a gluten free rice bowl/salad at Bon Me… and it was DELICIOUS! The coconut-braised chicken and Vietnamese flavoring to the vegetables added a nice touch. It was a low-cal, flavor rich snack — just what I was looking for. Some food trucks can be junky (as in unhealthy food), but others like Bon Me are filled with healthy options! I got a vietnamese gluten free salad! I ate the salad so quickly that I didn’t get a chance to photograph it — but believe me, it was so good. Always love finding healthy/gluten free options on the go! It definitely made my afternoon (hey, good food can definitely make a day a little bit better 🙂 ) to find such healthy options right near me. Especially with my dairy and gluten free dietary restrictions, it can become an arduous task to find healthy and varying options on a daily basis. Even if your school/town doesn’t have food trucks, keep an eye out for them next time you visit a city or large town! They’re becoming very popular. Want to find a food truck in your area? 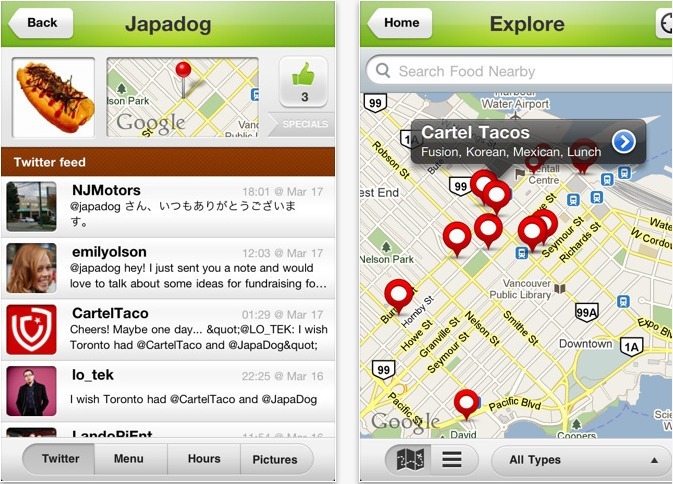 You can download the Roaming Hunger app, a blog that circles cities to find the best local food trucks. Yum! 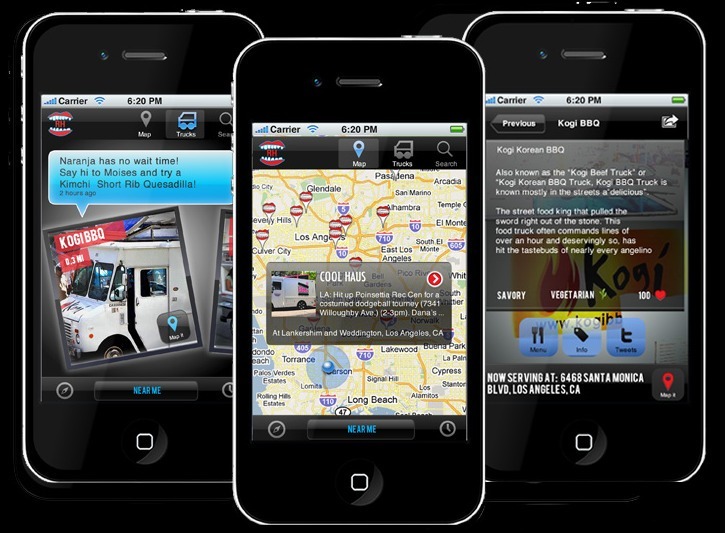 The Food Network also created an app called Eat St. that allows viewers to track down food trucks near them. Food truck healthy options — deemed by some as “overlooked treasures” — can be a great post-workout snack. If you’re looking to treat yourself there are usually also dessert options or trucks nearby :). Have you ever eaten at a food truck? Do they have them in your area?